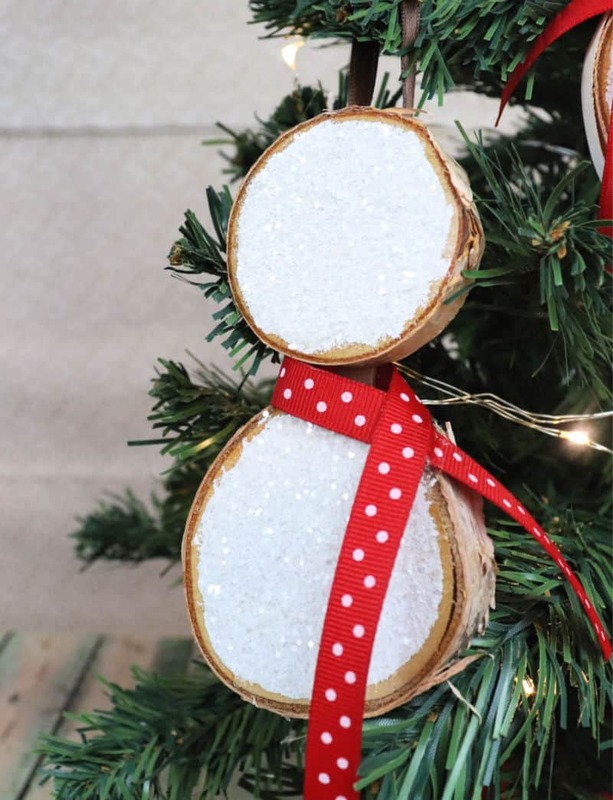 DIY Christmas decorations are a beautiful way to decorate your home, I like them even better when I can make them with inexpensice or thrifted supplies. 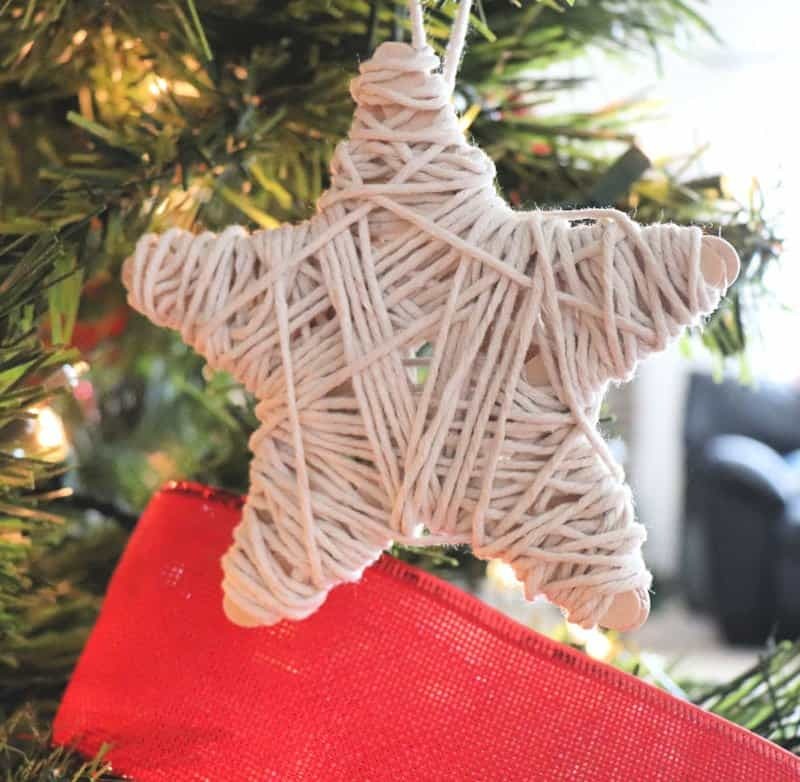 Today I’m sharing a simple neutral dollar store twine ornament that is easy to make and adds a neutral element to my tree. Most years I am pretty particular about what type of ornaments go on the big tree. I like to have a color theme and intertwine our keepsake ornaments with red white and silver. My kids have a tree, right next to the big one, that is filled with all kinds of fun handmade ornaments from years past. This year is a little different. We pulled out all the ornaments and had so much fun telling stories and reminiscing about each one. My girls and I added all our favorite ornaments to the big tree one by one. It’s mostly red and silver with ribbon and ball ornaments, but it’s filled with handmade favorites, keepsakes and even silly old ornaments. To top it all off, our star broke and the family voted to top our tree with a Santa hat. I love our tree this year and the kids are so proud of it. After adding all the old ornaments to the tree, it was time to make something new and neutral. 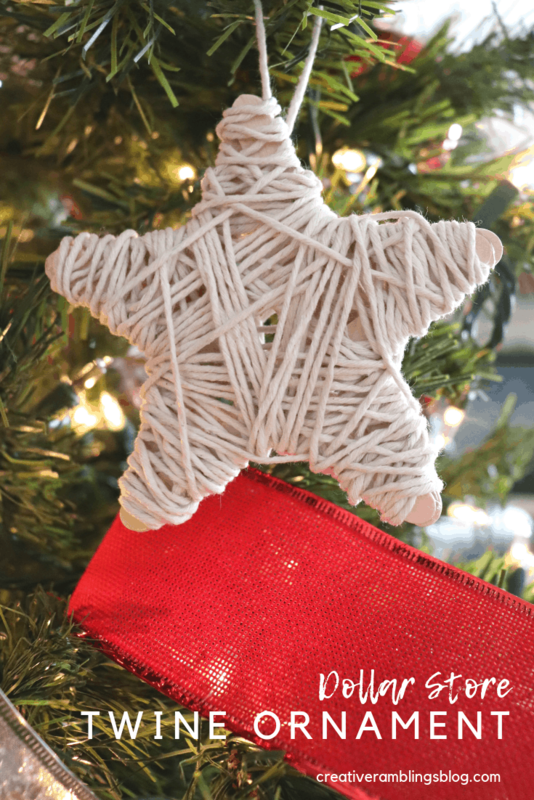 This dollar store twine ornament is made for a few simple supplies you can get at the dollar store or any craft store. I arranged the craft sticks in a star then used hot glue to hold the star in place. 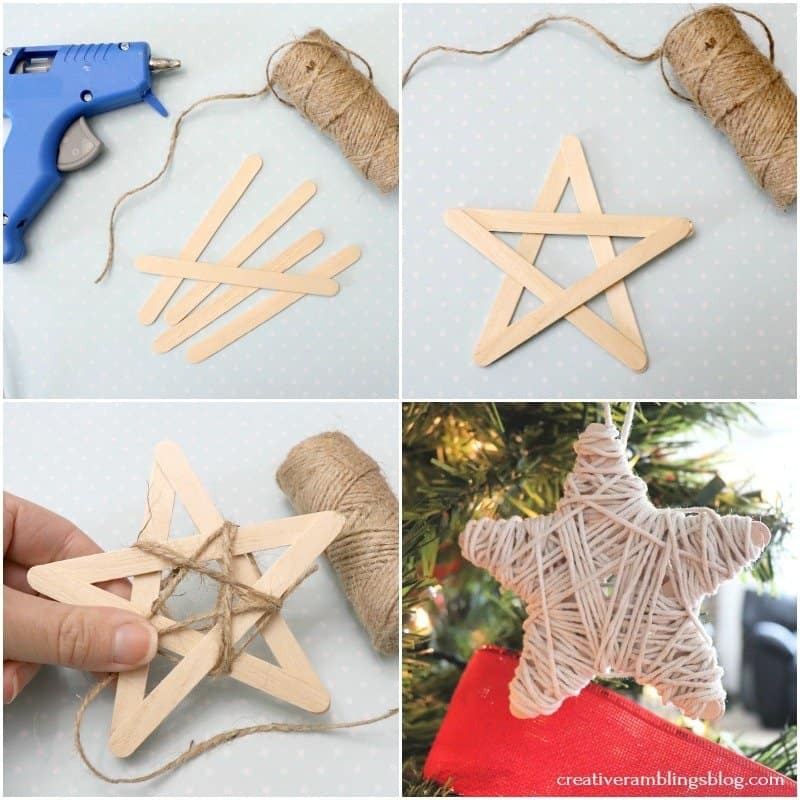 Once the glue was dry, I started wrapping neutral twine around the star and wrapped until it was full and most of the wood was covered. I made a few of these using white kitchen twine and a more rustic jute. This is giving me ideas for a more neutral tree next year, but one holiday at a time! Now take a look at these other dollar store Christmas ornaments. What a simple yet stunning ornament! I love it. Your tree sounds wonderful this year and I can only imagine how much your kids love having the Santa hat on top 🙂 Your star ornament is so cute! And how simple to only need 3 supplies!